Among the different types of innovative learning initiatives, organizations have been implementing communities of practice as a collaborative learning strategy. However, in many cases, one finds the term community of practice attributed to other types of communities or work groups. 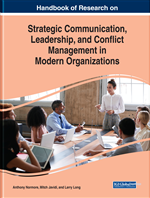 This chapter aims to define, identify, and characterize communities of practice and differentiate them from other organizational structures which are not such communities. It establishes a comparison among them and observes the benefits obtained from each structure, indicating which strategy to apply depending on the goal or challenge. Finally, a number of conclusions and guidelines on the future development of communities of practice are presented. No one now doubts that the subject of communities of practice arouses increasingly more interest in the academic field and in that of professional consultancy. Also, this subject is related to the emergent field of social knowledge (Gallo & Yan, 2015; Gurteen, 2012). Multidisciplinary Team: Organizational structure formed by employees of the same hierarchical level but from different work divisions, who meet to carry out a task. Communities of Practice: Group of people who perform the same professional activity or responsibility who, concerned with a common problem or moved by a common interest, expand their knowledge and expertise in this subject through ongoing interaction. Formal Task Group: Group formed by workers responsible for a specific work task. Problem-Solving Team: Organizational structure formed by workers who share ideas or offer suggestions on how to improve working processes and methods. Virtual Team: Organizational structure formed by employees who use computational technology to bring together physically dispersed members with the aim of achieving a common objective. Learning Communities: Contexts in which the students learn thanks to their participation and involvement, in collaboration with other students, the teacher and other adults, in genuine processes of research and collective construction of knowledge on personal and socially relevant questions. Communities of Interest: Group of people who share a common interest or passion and exchange information, news and products with regard to it.